November 14th, is World Diabetes Day. This date was chosen because it’s the birthday of Frederick Banting. Who chose this? I’m a huge fan of Hamilton, the Broadway Musical. In as great as the show is, I always found it interesting that Alexander Hamilton, a man who was not even president, became as popular as he did, and stayed. Was the biggest claim to fame the fact that he was shot, and died, in a duel? In the show, the opening number in fact, Aaron Burr announces,…..and me? I’m the damn fool who shot him. We are lead to believe in the musical that Aaron Burr was much more popular than Hamilton and his life’s love declares that she would spend the rest of her life making sure history remembered Alexander Hamilton. I guess it worked. I mean I do not see Aaron Burr’s portrait on any currency. Which brings me back to my opening sentence. Who decided that Frederick Banting gains all the attention when poor Charles Best, lacking the PR machine that Alexander Hamilton had, becomes not much more than a foot note in this historic discovery. Now I’m very aware that it was Banting who spearheaded this endeavor but it just seems to me that there was much work that went into the discovery of insulin. I mean both of their names are on the patent (there is a third name as well—a different story for another time). Banting even shared half of his money from winning the Nobel Prize. Good. But not good enough. The world will never fully understand the work of Charles Best in the discovery of something that literally has saved the lives of millions of people. So this February 27th, the birth date of Charles Best, I say we do something in honor of the man most forgotten in a discovery that had glory enough for all. Perhaps pass legislation on this date that makes the very discovery created to save lives, also affordable to save lives. They Lost their Sons to T1D…….What they are Doing Tomorrow Will Drop You to Your Knees. Have you ever stopped and actually tried to figure out how we do exactly what we do every day when dealing with our child’s diabetes? I mean, imagine yourself before diagnosis; did you ever think you would be doing what you are doing today? When the doctor ran down the list of all diabetes management would entail, did you shake your head and say, “OK, no problem”? But here is a thought, no one escapes life and what it throws at you. Precious few escape the so many disease states and tragedies that can change a life forever. Some get more than others and sometimes it all comes crashing down, doesn’t it? Remember, it happens to everyone. As I reflected on yesterday being such a tragedy I thought of friends like Michael Otten. Michael is about as much a definition of a guys’-guy as Webster could ever define. Michael’s story of 9/11 would drive any person to their very knees, and he can share that with you some day, if he chooses. Trust me when I tell you two things; he lost precious family members that day and he was one elevator ride away from being included in that horrible count of fatalities. Just one incredible story. Michael also has a son with T1D. Seems like just yesterday that he was diagnosed. He also owns his own business. He has no time whatsoever…..none. Yet he finds time to give back what is important to his family. He will always greet you with a smile, a firm handshake, and want to know how YOU are doing. Stories, oh he has stories, but he would rather talk about his family, sports, and know about you. He is a brother-in-arms in this race for a cure. A lesson I learned a long time ago that Michael personifies, the people who are hurting cope with things because they are more concerned with others and the world around them than wallowing in a world where their own problems rule their life. I have said it before……they learn…….to cope. Everybody has hurts and pains that drive right through the soul; it’s not what comes along—-it’s what you do with it. Get on, get off, get run over. The choice is clearly our own. What will you do with it. One final thought; The families of Michelle Alswager and Jen & Bob Nicholson lost their sons to T1D. Lost! Yet tomorrow they are running in an Iron Man’s grueling race to help other with diabetes……..think about that……..it will benefit them, NOT ONE IOTA in their dealing with diabetes…..but it will help your child and others who know the work of Sean and Mollie Busby’s Riding on Insulin. So think about them tomorrow as they take part in something they have been training for months to achieve; and it still will challenge their physical bodies like nothing they have ever done before. And for what will they benefit? The satisfaction of helping children of yours and mine. Pretty bold. Humbling. Yes? So the choice is yours. Again, something coming into your life? No Control. What you do with it when it arrives? All control. Easy????? Absolutely not. They will be extremely emotional at the race……but they will do it….they know their making a difference. They know their sons would want them do be doing it. It humbles us none-the-less and makes us ask, “what will we do today to make it count?” What will you do today? There is Just Something About the Number 11…….Sigh…..I Was There. Every time I see an ’11’ I cannot help but think of the two towers in lower Manhattan. When it has a ‘September’ before it, it brings me back to a time of not only incredible pain but also incredible human spirit. That day, was today. I have often said that I saw things one could not have nightmares about. But I also state for the 36 straight hours I was down there, I witnessed a magnificent human spirit. People did things to help that you could never imagine. People came together from all walks of life for one reason, to help. No religion. No color. No anything but incredible compassion. Incredible caring. And the unyielding energy to get the job done. It was a sorrowful and hateful day; but it also showed us at our best. I will never get over what I saw, I like the word cope….I learned to cope with what I saw. Cuts, blood, death, bodies dropping from the sky almost like raindrops……one learns to cope. We push it to a place where we can cope with it……it allows us to move on. So on this day, remember what happened? Sure. We will all know where we were at that time, that exact moment the towers were hit. But also remember through the pain, death, and sorrow……..we moved on. Moving on is a good thing. We have done that…….but as I look around at the world which surrounds us, it would sure be great to see much more of that human spirit, that human resolve, once again. It served us well fourteen years ago and it would surely serve us well today. Maybe if we all look for it a bit in our hearts, it will take over once again. I surely hope so. If you need a reminder, think of it every time you see an ’11’. OMG!!!! What Did I Do To My Child??? What a Horrible Parent!!!! If you work with your hands long enough, you become calloused. If you have 3 kids, chances are when the first one dropped their binky, pacify, woot-woot from their mouth and it hit the floor; you cleaned it, sterilized it, got it cool again and gave it back to your child—when the third child dropped it, you wiped it on your pants and stuck it back in. There is much to be said for it. The calloused hands are because I beat myself up so many times, I graduated to just making a mental note not to ‘do it’ again, whatever it is I did wrong. The simple truth is, when it comes to our diabetes world, we will make mistakes. And some doozies as well. When I have lectured, I have stated that no one has made more mistakes at this diabetes thing than I. It’s not rhetoric, I firmly believe that; so today I speak to you as the king of what the heck did I just do, moments. Wrong doses, forgetting doses, not figuring…(whatever) would have an impact, not waking up, not going to sleep and on and on and on and on……you will make a mistake, probably many. There is room for error in this diabetes world and do not be so quick to beat yourself up over it. Take that energy and learn from it. Go over the episode in your head step-by-step and make sure you know WHAT YOU WOULD DO differently. 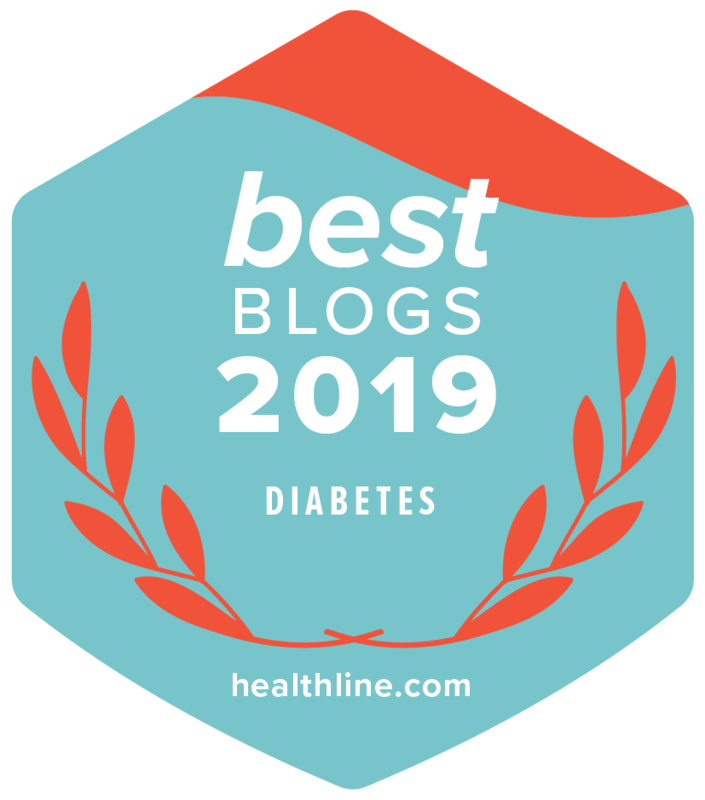 Unfortunately for the time being, I can assure you that when you wake up, diabetes will be there again giving you another try to get it right…….or as it was in my case many times….screw it up again. So relax. And take it a little easy on…….well…….you! I have heard this statement a million times. “We need…..” In reference to the diabetes community; we need a really good spokesperson; we need an ice bucket-type challenge, and other things…we need…we need….we need……….uhm……..not really. We need to pull the weight ourselves……..all of us. Mary Tyler Moore has given tirelessly of her entire career to the message of diabetes through the JDRF. We can argue the fact that she is probably in ‘the top 3 category’ women EVER to be on television. She did countless public service announcements which aired, she did countless trips to JDRF functions and private meetings (I was even privileged to be with her on one of them), she did a countless amount of trips to talk to elected officials…..never has there been a better public figure than Mary Tyler Moore in ‘speaking diabetes’. The JDRF, NO—we; in the DOC—are lucky to have had her and her messages for so long. Someone so tireless, and yet, the message still needs to be heard. Did the world ‘get it’? So is the answer ‘just’ a great spokesperson? The JDRF and ADA walks and rides are the best in the world. THE BEST. They get countless amounts of people and raise millions—-MILLIONS of dollars. Ever go to an event that has a fund-a-grant—well you can thank a woman in Seattle named Deniz (JDRF long-time employee) and the Benaroya Family of Seattle for starting that stroke of genius a million years ago. So is the answer ‘just’ doing a NEW event? Years ago you never even heard of the JDF (JDRF)…and the ADA was mostly a group of physicians and you might have heard of walk in October. 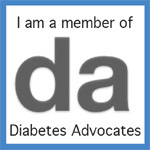 To be honest, even in my professional life at the DRIF, I am glad that these organizations are what they are with the people behind them because I was here in 1992……..and let me tell you something….at THAT time there REALLY was no understanding about diabetes. These two organizations set the bar and opened the door for many smaller organizations and educational opportunities………and off we went. A difference between T1 and T2?????? ?…….back when??????……seriously???? ?……people never even heard of the disease much less discussions about better understanding. Are we done yet. ABSOLUTELY NOT! Many organizations have been created over the years with GREAT focus and if ever there is not a perfect synergy between you and a group……find another; they’re out there. It’s easy to just say, “we need….” and be done with it. I’m here to tell you that “we need” is alive and well and more than that ‘we need’ is here now. Add to all of this the DOC, we have one helluva powerhouse. If you are not plugged-in somewhere—get plugged-in somewhere. Yes we always need new spokespeople and new ideas, but let’s not forget what is here right now. Be the addition to what is here now before re-inventing the wheel–change them up to make them better, and add as needed. There is still nothing so exciting as seeing 8,000 people the morning of an event. I know, I see it every year at one of our walk-event with Walgreens and the DRI at Miami Marlins Stadium. If you are active in these type of events with JDRF and ADA—you see it too. It is shown ALL OVER the world…..Is there ANYTHING like it…….really? They say there are almost 30 million people out there with diabetes (T1 and T2) and add the multiple of 3 other family members and the number comes to 120 million people have, or have a direct connection, to diabetes. And if you are interested in just T1D, that same number is about 8 million with/with-direct-connections…….are there 8 million people in the epicenter of events around the country? Not even close. Without going into detail, in my immediate family we are directly impacted (or have been) by MS, Cystic Fibrosis, Alzheimer’s, and Autism–the organizations surrounding these events have shared (in part) over the years of the huge success in the diabetes world. They see it more than we do. They cannot even fathom having two humongous organizations like the JDRF and the ADA both surviving and flourishing side-by-side; not even to mention major research centers like Barbara Davis, Joslin, and the DRI all also being in the mix. Now add CWD, Camps, DECA, The Diabetes Scholars Foundation, and many, many more with specific and different missions. We need…………what…….I ask? So what am I saying? As Dorothy stated, we have in our backyard EVERYTHING we need to succeed, and or be heard. I think we need to figure out how to get those who ‘do nothing’ involved…..either that or just understand WHAT we do have. But “we need…..” must be replaced with; ‘put me to work…..’ because heaven knows we have what is needed……..every entity mentioned just needs more workers/volunteers/donors……there is nothing too small; and they will all welcome any and all help you can give. I have said it forever, “Don’t Do Nothing”………………and don’t.